Website Google Ranking - 5 tips to help improve yours | KateCoote. Every business wants to improve the Google ranking for their website. These days being found online is crucial to success. It doesn’t matter if your business has an e-commerce platform or not. Almost every decision a consumer makes will start with an online search, even if that person doesn’t intend to fulfil their purchase online. They will still research their options. At KateCoote. we build websites for clients using WordPress. This user-friendly platform powers around 75 million websites. It’s innovative, versatile and it will allow your website to grow with your business. 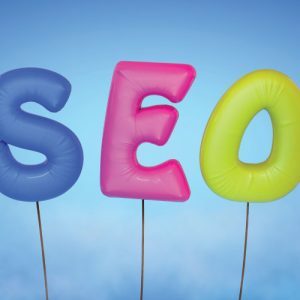 Where contracted, we also utilise tried and tested Search Engine Optimisation software, together with a dedicated content management plan to improve our client’s Google ranking organically. This doesn’t happen overnight, a client needs to commit to a longer-term strategy, and content management is just one facet of an algorithm of over 200 ranking factors. There are some simple changes you can make to your website if you would like to improve it’s Google ranking. So, in this week’s article, I’m going to share five tips to help you do precisely that! In a recent blog article, Google announced, “You may have heard that here at Google we’re obsessed with speed, in our products and on the web. As part of that effort, today we’re including a new signal in our search ranking algorithms: site speed. Site speed reflects how quickly a website responds to web requests.” One of the most common issues with page load time is image size. So, check the size of the images you’re using on your website. You could also speak to your webmaster about specialist caching software. This is a service we offer our client’s, utilising whizz-bang software to help them head up the hit parade! Once more, from the Google blog, “We’re starting to use HTTPS as a ranking signal… Over time, we may decide to strengthen it, because we’d like to encourage all website owners to switch from HTTP to HTTPS to keep everyone safe on the web.” If you haven’t yet incorporated this simple change into your website, talk to your website hosting provider about HyperText Transfer Protocol” with Secure Sockets Layer (SSL). At KateCoote. we include this as standard with every new website build. These days mobile browsing rules. Check out these statistics from Smart Insights. If your website isn’t mobile responsive, you’re missing a trick, because, from April 2015, Google has been penalising sites that aren’t optimised for mobile viewing. The readability of your website’s copy is crucial if you want to improve its Google ranking. The search engine giant has one goal, and that is to make things easy for the end user. So, if your sentence construction is overcomplicated. Or, your sentences are too long; you’re going to head down the hit parade. Not sure about yours? Check out the Readability Test Tool. Cool your jets! I’m talking about content! Fresh content is super relevant to Google, every time it crawls your website it looks for content it hasn’t seen before. If it can’t find any, it will wait a while before bothering to index your site again. But if it does find fresh content, it will revisit sooner. Regular indexing of your website will ensure your website features on Google searches. So, if you take just one thing from this article, let it be to write a blog or news post! If you need some help with that, talk to us. We offer a content management service where we craft beautifully compelling blog posts to help improve the Google ranking of your website. But don’t take our word for it… This is what a client recently said about our work. If you’d like to find out more about how we can help you improve the Google ranking of your website and help you stand out from the crowd, contact us today!